Teaser Tuesday: Why do readers clamor for books about people they’ve already heard of? Hey, kids: It’s publication day. Huzzah! 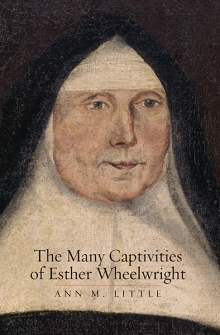 The Many Captivities of Esther Wheelwright (Yale University Press, 2016) has officially dropped! Now you can read all about the 7-year old Anglo-American girl from New England, taken in wartime by the Wabanaki, who became a student and then choir nun at the Ursuline convent in Québec. She then became the one (and still the only) foreign-born mother superior of her order. What a life! Or more properly, what lives, plural. I’ll be offering a few tantalizing excerpts from the book every Tuesday until it gets optioned for a screenplay, or until I make my massive advance back for the press, or both. Ha! So if you want to stop seeing this lady’s pink, squinty face peering out at you from that old wimple, do your part and buy a copy. If you can’t afford a copy, ask your university and local libraries to buy a copy, so you can share. Future topics may include: What did children play with in early New England? How did warfare affect Wabanaki foodways? How did Esther become a Wabanaki child? What was it like to be at the Governor’s house for dinner in Québec? How did girls and women deal with menstruation in the eighteenth century? Why did the Ursulines call Esther Anglaise rather than Abnaquise? Did the Ursulines engage in bodily mortification? What was daily life like for the soeurs converses (lay sisters), who performed the domestic labor in the convent? Let me know about your questions, too–I take requests. The subjects of most biographies in any national history are men. They are also overwhelmingly men who lived in the modern world, and these accounts reflect our contemporary preoccupation with modern history themes: politics, economics, warfare, the nation-state, and so on. These biographies are also invested in a particularly modern kind of subjectivity, that of the heroic individual who bends history to his will. He’s a man of singular genius, one whose fortunes aren’t made by his family, community, or the times in which he lived. American biography, especially early American biography, offers no exception to this rule. 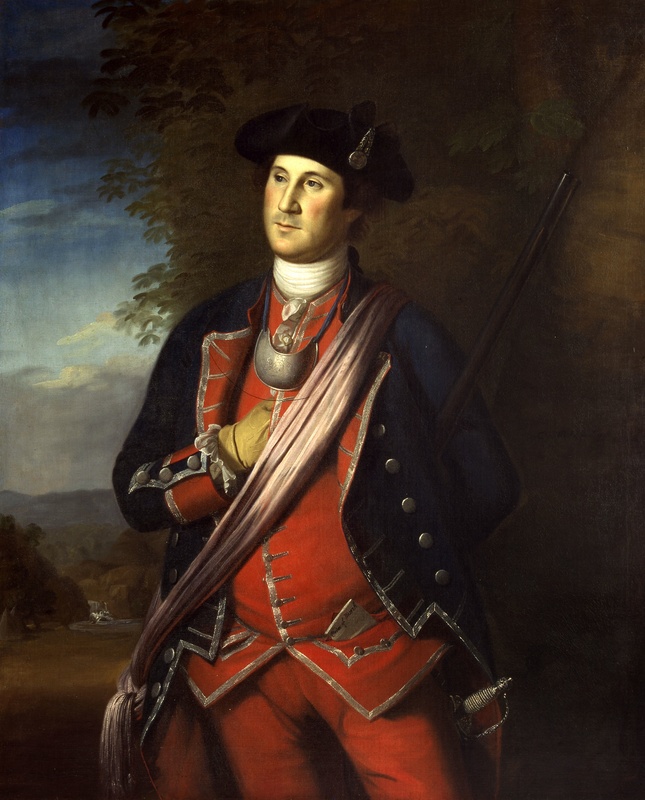 Historians of the earliest decades of U.S. history have churned out biographies of the so-called Founding Fathers for audiences whose admiration for these men knows no limits. This vision of biography is literally inescapable: every day as I walk to my office in the Huntington Library to finish writing this book, I must walk the entire length of a larger-than-lifesize, hallway-length display on the life and career of George Washington, the man the exhibit calls “America’s greatest leader.” It takes thirty of my brisk, purposeful strides to traverse the length of this tribute to Washington. Traditional biographies like these commemorate only some kinds of power and politics, and avoid the rest. The focus of these books is on both personal and national greatness, not the patriarchal, slaveholding world that permitted these privileged white men to rise to the top of their colonial society long before independence from Great Britain was ever imagined. Stories about the sagacity, virtue, and political genius of our “Founding Fathers” sell like hotcakes. Stories that focus on the cruelty and exploitation of the many by the few in colonial North America might receive respectful reviews in academic journals, but they don’t move product. So why do readers clamor for books about people they’ve already heard of? Why don’t writers or readers look for fresh stories of people they’ve never heard of before? First, historians’ choices have traditionally been restrained by their discipline’s obsession with written information, so we must consider the politics of literacy in early America. Because even most free women in North America were taught only to read and not to write until the middle of the eighteenth century, most people, enslaved or free, couldn’t generate their own archive, let alone possess the social and cultural capital to ensure its preservation for two or three centuries. It’s a lot easier to write about people who wrote endlessly about themselves in journals or diaries, and carried on a voluminous correspondence with friends and colleagues which was then meticulously preserved. The second reason that biographies of the already well known are more popular has to do with readers’ choices. It’s better business to write about the rich and famous, because there’s already a built-in audience of book buyers for that latest biography of John Adams, George Washington, Andrew Jackson, or Abraham Lincoln. It’s easier and more fun for middle-class North American readers to identify with rich and powerful individuals rather than the victims of history. Schoolyard bullies know this instinctively: we all want to identify with winners instead of losers. —The Many Captivities of Esther Wheelwright, pp. 9-10. Stories about girls who are carried far from home are everywhere in our culture, and there are always new and interesting lives to learn about, if we only look for them. ← OMG. LOLz! WTF? “Shrill tyranny of the left” to blame for the Human Stain, everything wrong in the nation. Terrific post. We should do a panel together on biographies of the forgotten. Who are you writing about? Tell us a little more, Gabriel. But yes: great minds DO think alike! Congratulations! I didn’t realize your book was out already. Thanks for letting us know! Thank you. It means a lot coming from you, since you’ve already achieved my remaining goal in life: getting an advance to write a book at the Huntington, which, as far as I can tell, is the best place in the world. And you should apply apply apply! They have loads of money for history of science, and relatively fewer applications for it. So get going! I don’t know if our takes are all that different. I don’t entirely reject the notion of heroic biography–I just question why it’s only a very narrow and repetitive slice of early Americans who get that kind of treatment. Esther Wheelwright had greatness thrust upon her because of a number of traumas and accidents in her youth, and because she remained alert to opportunities she was poised to lead when her order and the people of Quebec needed her. That’s pretty heroic, but perhaps my emphasis on the communities of girls and women as well as the individual Esther W. herself is what makes you think we disagree? I’m serious about that panel. We have a great Early Americanist here at CU Denver (Kariann Yokota), and I’d be glad to advertise or assist any events you’d like to arrange to publicize your book. Have you tried “Colorado Matters” on CPR? Or book launches/signings around the state? How about if I hosted a talk? I’d love to do any or all of these things–I know Kariann, she’s great, and she has come to my classes when I’ve invited her. Email me and we’ll figure something out–I’d love to meet your students in a class or give a talk–whatever you think might be interesting and intellectually useful for them. By the way, I teach a graduate seminar on biography. I assign Alain Corbin’s “The Life of an Unknown,” but now I can use your book. Congratulations on the book! I (many moons ago) researched men and the concept of “going native” and Pacific frontiers, so I’m still fascinated by these stories of liminality, identity, and race. I look forward to reading it. You betcha I’ll be there! I plan to hold court the entire weekend. I remember that too–in Washington in 2013 or 2014? Now the rest of the world will be able to find out why I say it’s such a great book. Thanks, Susan–I’m really looking forward to talking to your students about it. I’m also trying to write a trade book about an unknown woman’s life, though in a very different context (early nineteenth-century Japan). It’s not easy! I’m looking forward to reading your book so I can see how you did it! Even if you find some amazing stuff, and important stuff, and in substantial quantity, about a subject who already has the proverbial “five foot shelf of books” in print about them; or such stuff about a less celebrated subject with a quality recent full-biography in print about them, it should be possible to get credit for the sometimes remarkable amount of creative work that it took to excavate that “stuff” without having to write an entire new (i.e. old) biography around them to report on it. In some cases this is in fact accomplished by means of an article–although the prevailing reward and mobility regimes of the trade tend to militate against such an approach in a lot of scholars’ minds. And maybe editors’ minds too. Articles disappear too easily, or fall between the cracks and don’t get read, it’s thought. So, often there is another biography written about that subject that is generic in every respect except for the chapter with the amazing, important new “stuff.” There should be a way around this problem. Anything that I’ve ever written about anyone that was biographical in any respect (but this is not speaking about book length work) has been about someone who I had literally never heard of until I turned over the stray piece of evidence that brought them to my attention. One of the several occasional “working titles” of my current project has a subtitle that refers to the “Famous (but unknown) Family…” that is the key subject of the book in progress. I like that kind of ambiguity. Editors often don’t. I don’t think we should write biographies of people who have five shelf-feet of books published in the last century. These are the kinds of books (a la DK Goodwin and Stephen Ambrose) that are open to accusations of plagiarism, because really, who has had an original idea about ANY of the So-called “Founding Fathers” in the past forty, fifty years? I always tell my students that if you’re worried about being either a perpetrator or a victim of plagiarism, then you’re not doing it right. That is, you’re not trying hard enough to find an original topic. History is so full of possibilities, if only we’d look for them!